So I have not blogged in so long and I have missed it! The last few weeks have been totally hectic and I just lost my blogging mojo. I would rather post something I'm proud of rather than post something for the sake of it and not be happy with it. 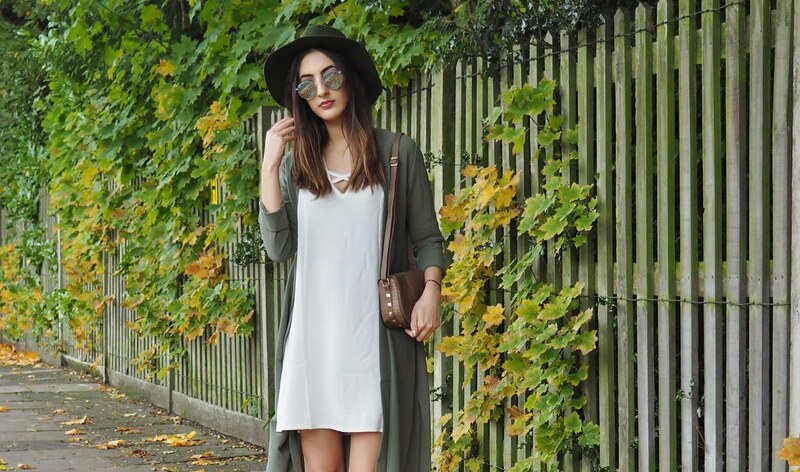 I'm coming back to you with three ways to style this Boohoo Dress*. I chose this White lattice detailed dress with bell sleeves as it really stood out to me as it's the type of dress you can wear in the daytime but also style up for evening. The wide bell sleeves also give it a boho feel which I love. 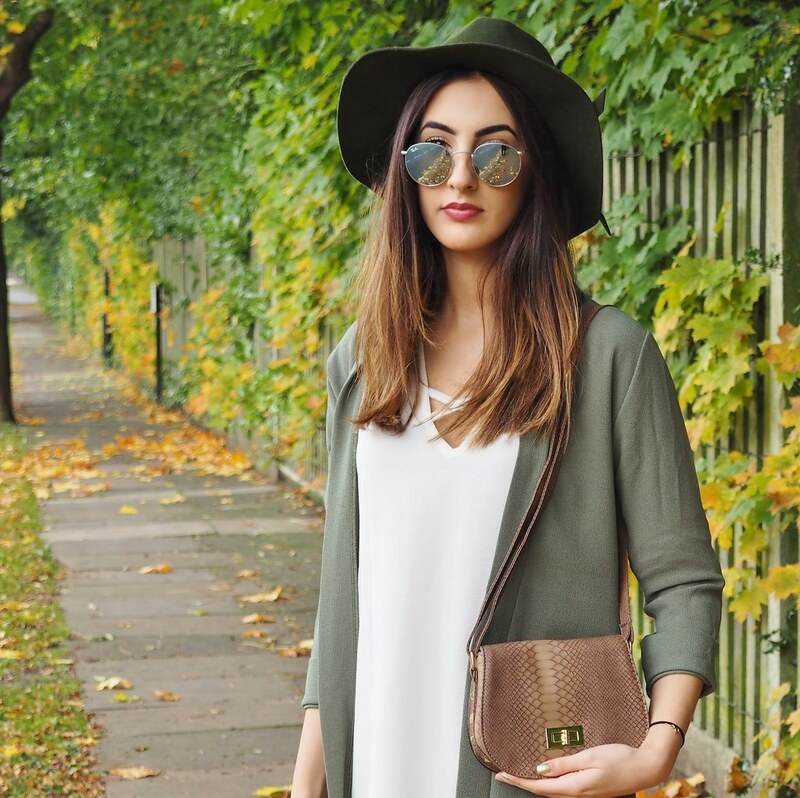 I've been searching for a Khaki Duster Coat forever too, so thought for this look, the two would compliment each other well. I love Autumn for the fact that you can just get away with lighter layers, rather than cover up in a huge coat and conceal a beautiful outfit! I accessorized this with this cute little Brown Bag which reminds me of the stunning Chloe bags but for a fraction of the price. 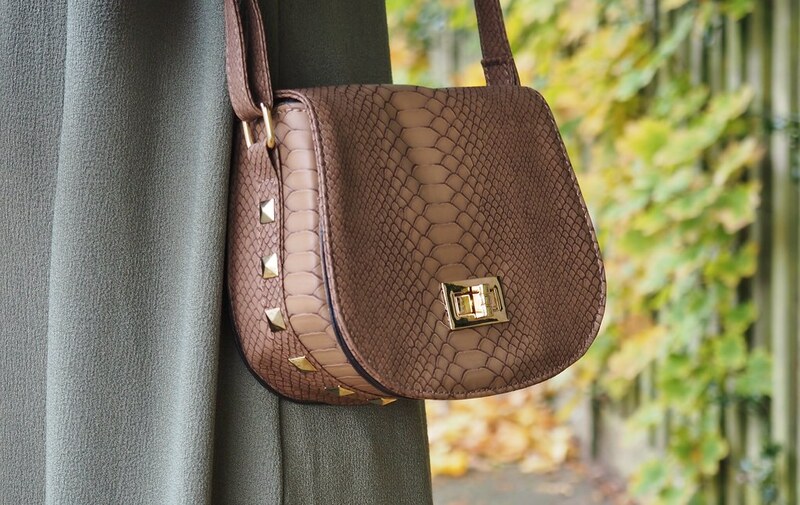 I love this bag as it fits all I need and complements the whole Autumnal feel of this look.